For the first time in a long time we will be seeing Dragon Ball related figures released in the US! It will be interesting to see what the rest of the figures will look like. I hope we'll get some figures with more detailed sculpts and not just things like these gimmicky fighting figures. I think we'll be getting higher quality figures than what the photo shows. Bandai knows they need to put out something that's comparable, if not better than, what Jakks Pacific was doing. Additionally they're supposed to release several lines of figures, so perhaps the ones in the photo are just some of the ones that will be aimed at younger audiences. If there is one thing BoA has shown, it's that they have no idea how to handle scale and that they like to start lines and then stop in the middle. Focusing more on popular characters, and not many else. Anyone who tried to collect Thundercats from them knows how frustratiny inconsistent they are. They jump all over and never seem to even give you a decent selection of characters. Gotta be honest, the only thing I have even halfway liked from them has been the Legacy 6.5 inch Power Rangers. And, that came at the expense of the previously half assed and incomplete 5 inch Legacy line. They DON'T care about previous figure lines, and they don't care about fitting in to any other scales from different companies. Anyone thinking they will get figures that will fit in with the Jakks or previous Dragonball figures, don't get your hopes up. If these are going to be similar to the PR Legacy figures, they will dwarf anything you have and not fit. Yeah they are really incompetent when it comes to scale. Changing the scale of their own legacy Power Ranger figures when they already had a thriving, all encompassing 5 inch line was idiotic and will only end up dividing their consumer base between the main line (5 inch) and legacy line (6.5 inch). 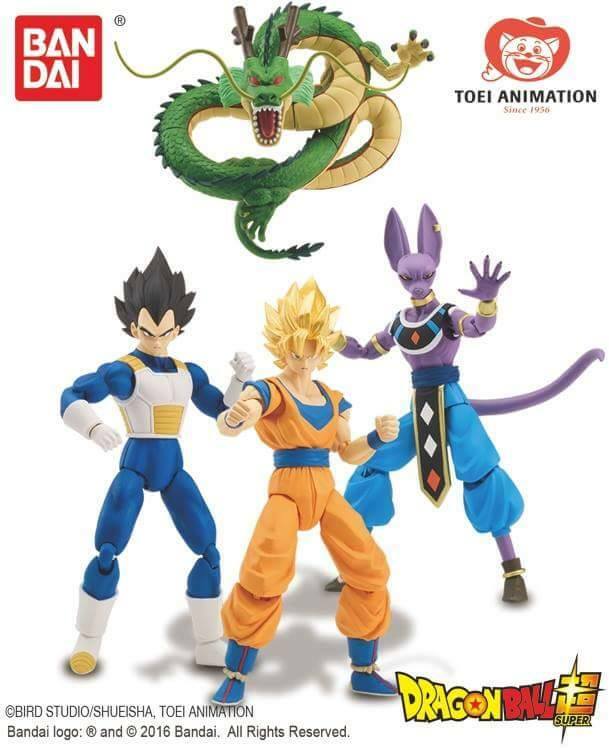 The press release says these Dragon Ball figures will be 3.5-inch, 6.5-inch and 7-inch. How the hell did they arrive at those scales? They tried their hand at a 4 inch line several years ago and it bombed despite the scale being rather popular and fitting in with a lot of other things. Now they're gonna do figures that are even smaller and fit in with absolutely nothing and expect better results? I imagine the 6.5 inch figures will be collector geared since they're the same size as the new Power Ranger legacy line, but most collectors who want Dragon Ball figures are already buying the figuarts, so they're not likely to start from scratch in an incompatible scale. I don't know what the 7 inch figures would be and why they need to exist at only a half inch difference. I think the smart thing to do would have been to make the figures 5 inch scaled. Kids have responded well to their 5 inch Power Ranger stuff, and collectors who bought the old Bandai/Irwin/Jakks stuff would be very responsive to them. These look just as bad as their previous attempt at releasing figures here. This is reminding me of when Bandai started releasing figures in America after Jakks lost the license or whatever happened. Everything was awful and everything was too small or too big and all of them looked like cheap Happy Meal toys with shiny plastic. I wish they'd just do 5 inch scale and make beautiful figures like Irwin and Jakks did. The ONLY thing I might be interested in from this line are larger/smaller sized monsters/non-humanoid characters and vehicles. Other than that. I have zero plans to buy a single other figure. I will be (probably naively) optimistic. I love the Irwin and Jakks figures from back in the day so I'm really excited for these. Plus it probably means we will start getting Super on TV between early 2017 and summer 2017. The website said they plan to do 3.5 inch, 6.5 inch, and 7 inch figures. Hopefully these "action feature" figures pictured are the 3.5 inch or they will do multiple 6.5 inch lines. Jakks had the regular figures and their striking Z figures so this might be something similar. I'm hoping for a 6.5" line like their current power ranger line with a few good diverse waves and maybe the 7 inch ones will be more detailed (closer to the irwin and jakks movie figures). Guess we won't know until it launches but I'm hyped until then. Well...this is very surprising. It seems like they won't fit in with the Irwin and Jakks figures, though (these are marked at 6.5 inches). Nevertheless, these seem like they'll be great. I can't hold back, I have to say it. 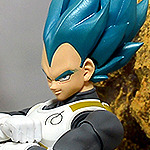 VEGETA WITH TOP TO BOTTOM ACCURATE COLORS. It's just so great to see. Bandai is doing the Build-A-Figure with Power Rangers Legacy, I'm gonna guess this will be build a Dragon. That would, actually, be nice to get. 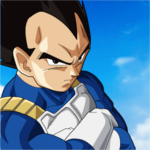 But, is it just me...or, is Vegeta WAY too tall? 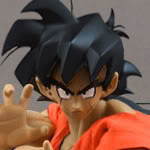 Goku looks kinda decent, eh. I will need to see more of these. They will be significantly taller than anything else, though. Those actually look decent enough, although I can't say I have much use for them. I'd love it if they did a Build a Dragon figure! They did one before called the Ultimate Collection line where you got to build Shenron & Porunga. The new images seem to indicate that BoA wants to do something like the Shodo Neo series, or is it just me? I dont think this photo accurately shows their scale in comparison to each other.